Vineeth for Pathanamthitta against Kollam in the quarterfinals. Babykutty, Press Release: Defending Champion Thiruvananthapuram and last year’s runners up Palakkad women made their entry into the semi finals of the 59th Kerala State Senior Basketball Championship at the Carmel Club temporary indoor stadium in Aluva. 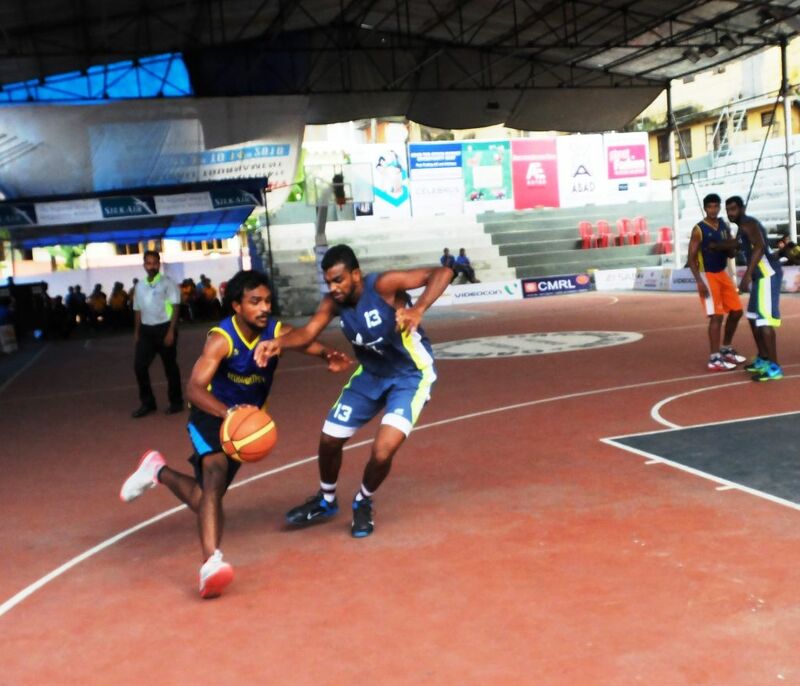 In the men’s division, Kollam defeated Pathanamthitta 67-59 to enter the semi final. It was an evenly fought contest with the score level at 30-30 at half time. In the second half, the greater experience of Kollam proved decisive in beating the youthful Pathanamthitta 67-59. Tony K Mathew top scored for the winners with 18 points. In the women’s quarter final matches, Palakkad Dist. (comprising Kerala Police players) defeated Kozhikode 79-57, with Surya PR top scoring for Palakkad with 25 points and international Neenumol PS with 21. For Kozhikode, Osheen Naveendran was the top scorer with 21 points. In the second quarter final, Thriruvananthapuram with internationals Jeena PS and Stephy Nixon had a rather easy match defeating Kannur 35-21. In the third quarterfinal, host Ernakulum, with the majority of players from St Xaviers College, Aluva defeated Kasargod District (which comprised players from V K Krishnamenon College, Kannur) 66-47. Chippy Mathew top scored for the winners with 20 points. In the women’s semi final, Thiruvananthapuram will take on the winners of Kottayam and Thrssur while Palakkad will meet Ernakulum. In the men’s division Kollam will meet the winners of Ernakulum and Alapuzha, while the winners of Thiruvananthapuram and Kozhikode will meet the winners of Palakkad and Kottayam in the other semi final.